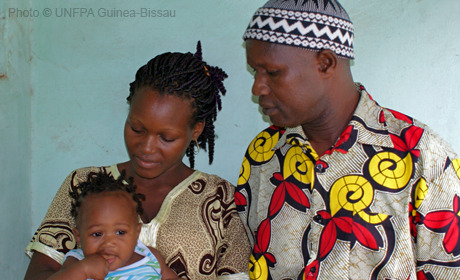 Since its independence in 1974, Guinea Bissau has experienced chronic instability, armed conflict and socio-economic challenges. Poverty afflicts nearly 70 per cent of the people. There has been progress in increasing contraceptive prevalence, but maternal mortality remains high and HIV rates have increased. UNFPA helps sustain focus on quality reproductive health care such as family planning and emergency obstetric services, and assists in the procurement of essential commodities to prevent and treat sexually transmitted infections. Assistance with the census ensures accurate data for policies and programmes, while engagement with youth and women promotes respect for reproductive rights.